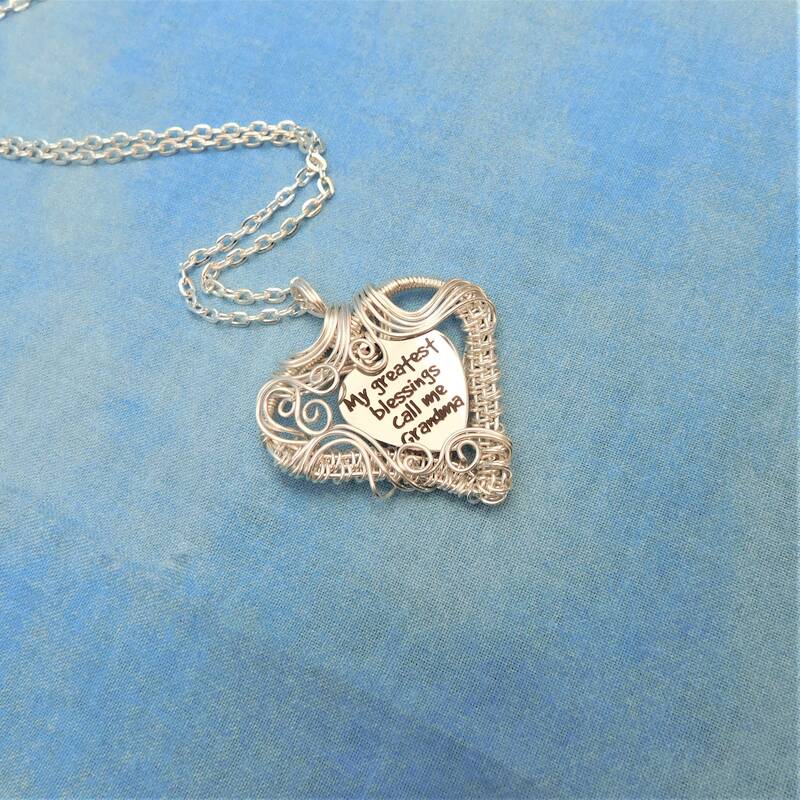 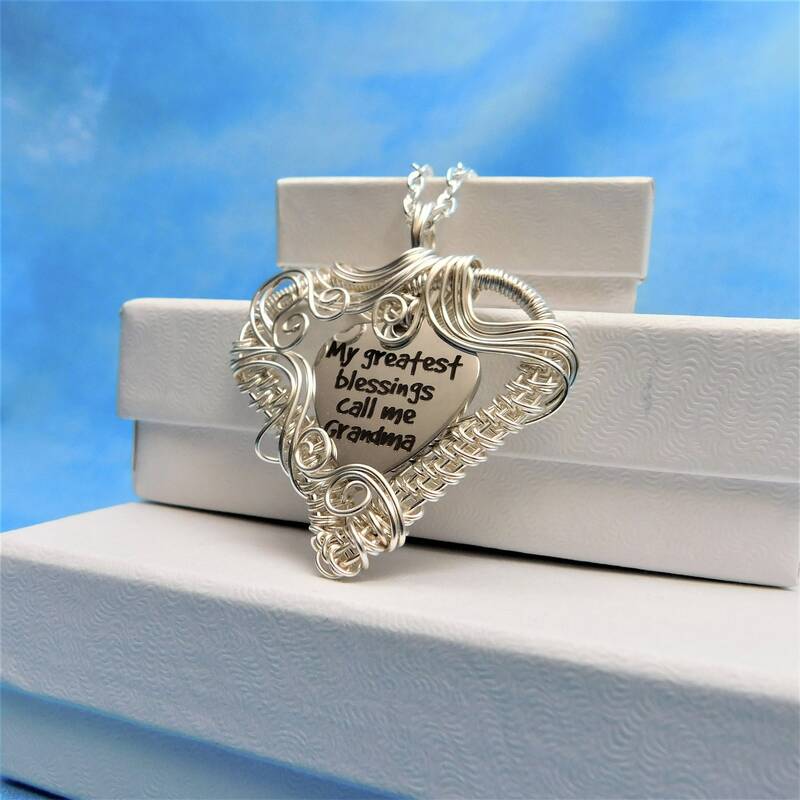 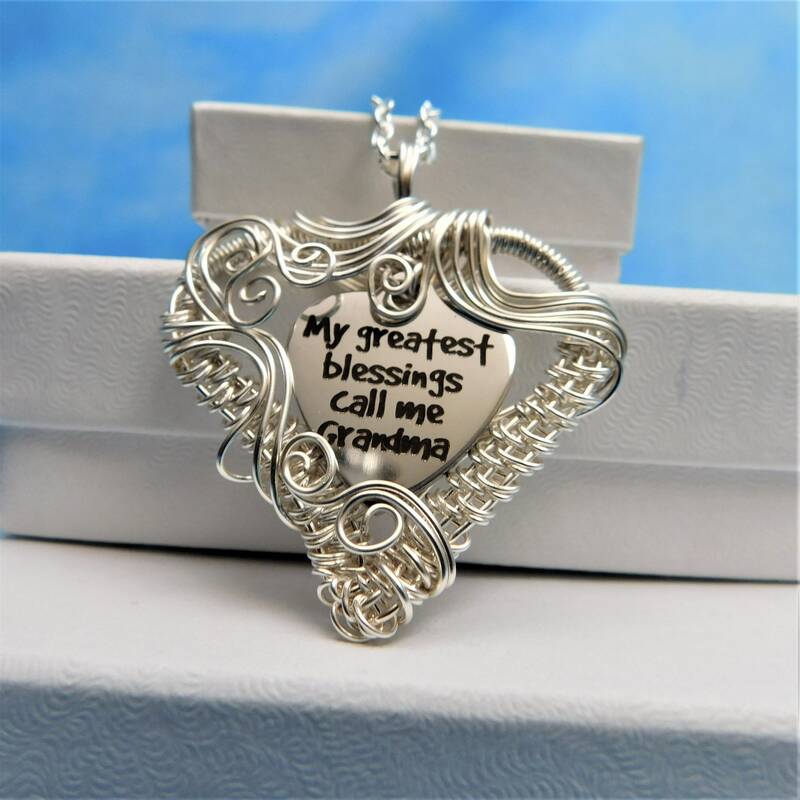 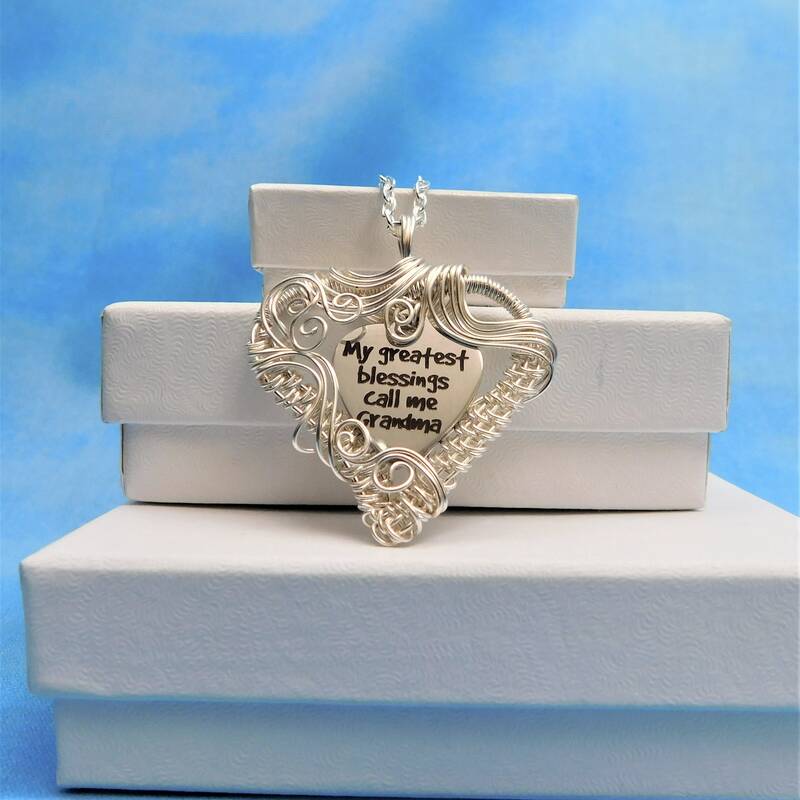 A hand woven wire heart frame encircles the declaration"My Greatest Gifts Call Me Grandma". 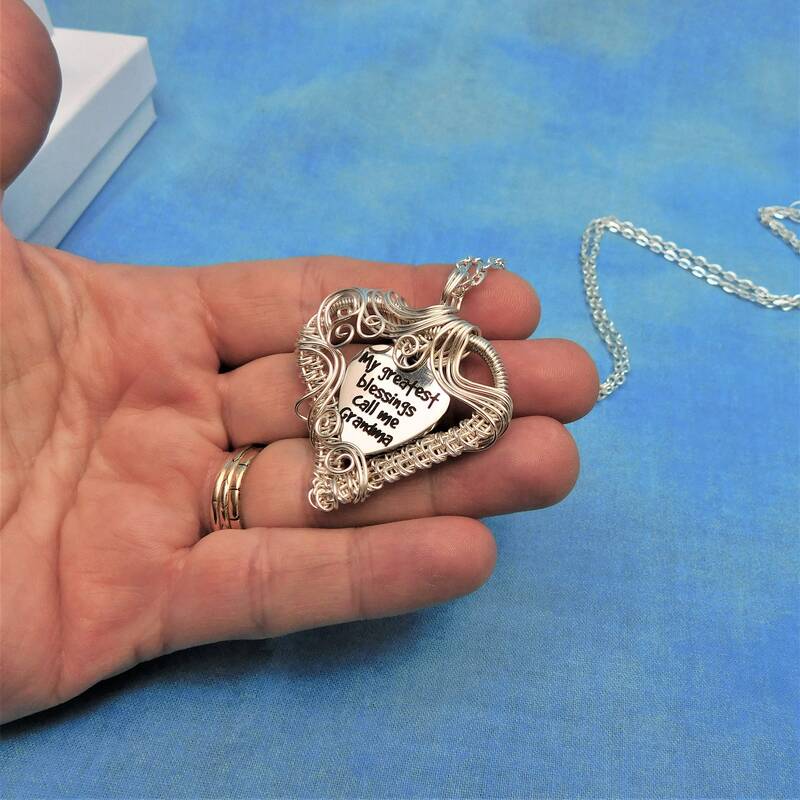 Grandma will be proud to receive and even more proud to wear this heart near her heart. 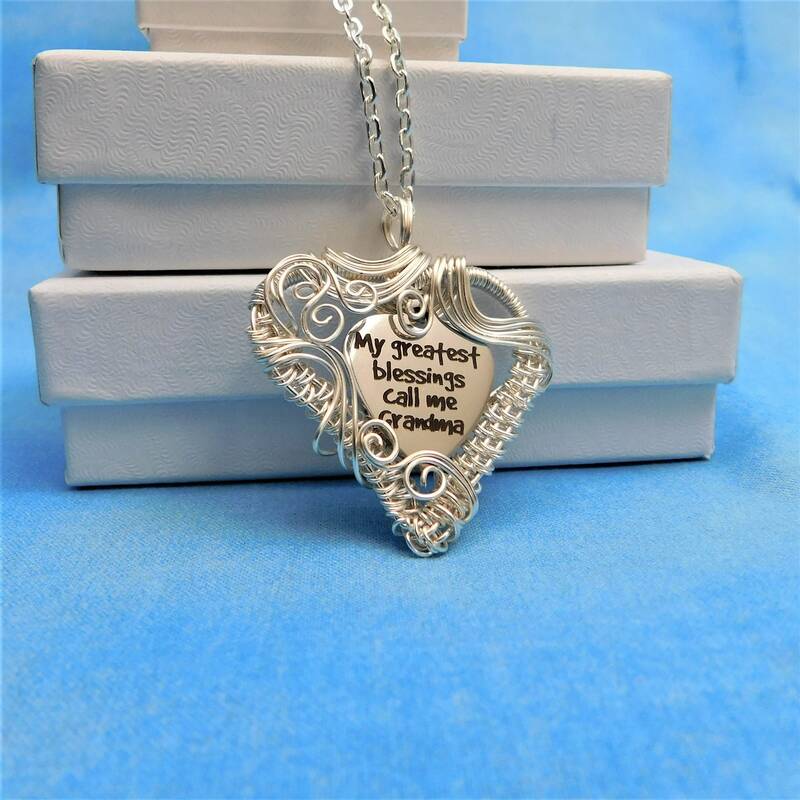 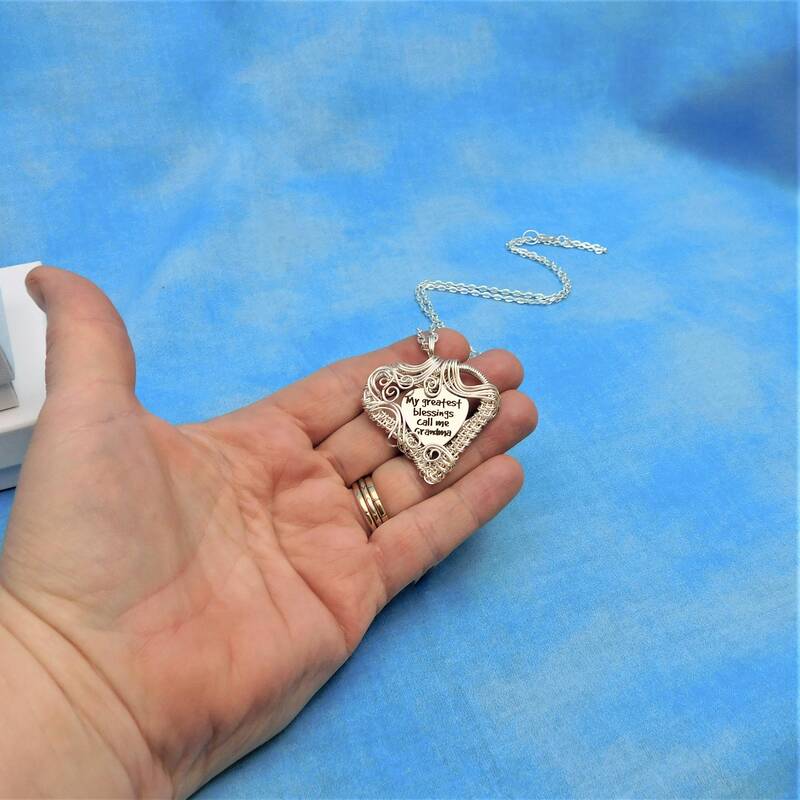 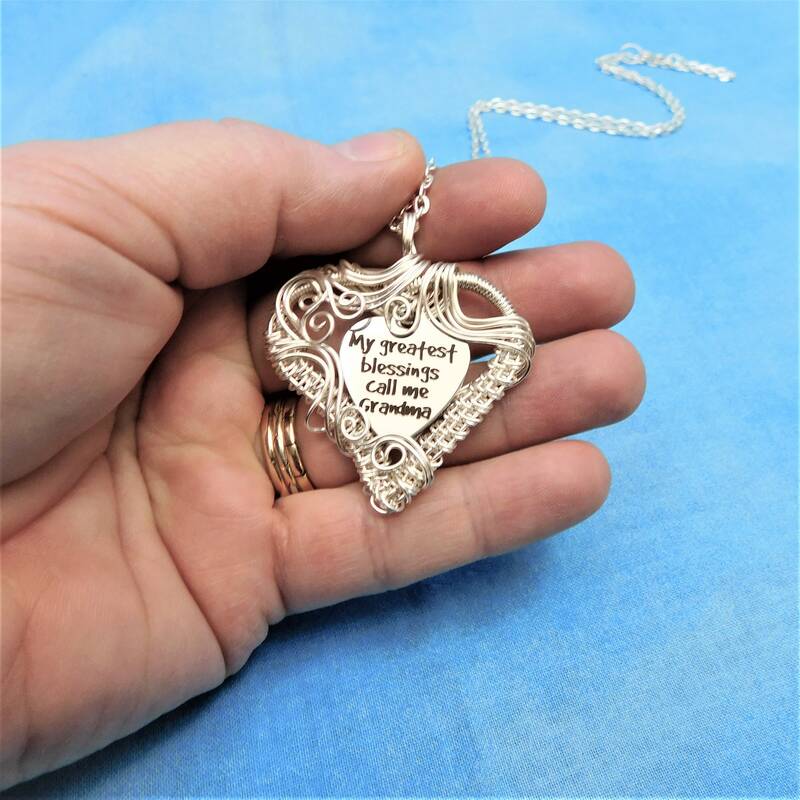 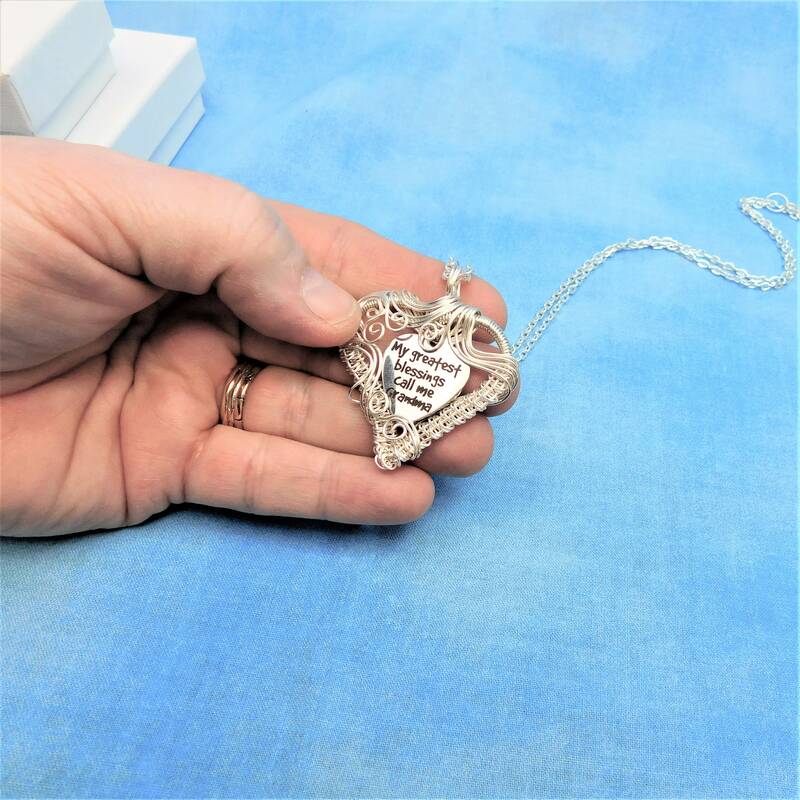 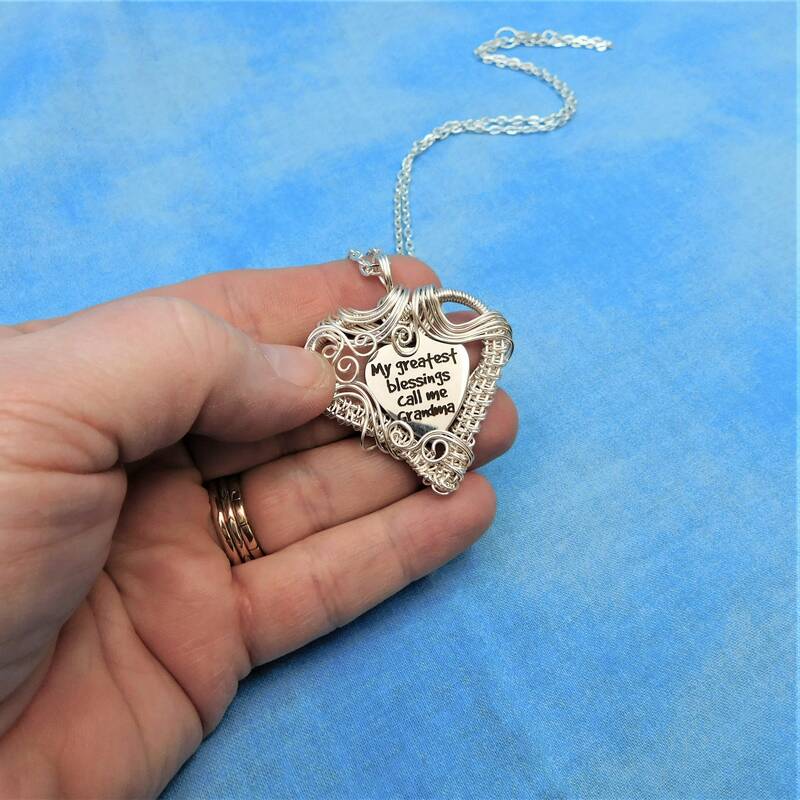 The heart measures 1 1/2 inches by 1 1/2 inches and comes with a FREE coordinating chain with lobster claw clasp, measured to your preferred length.